Hi there! Are you considering selling a home in Jacksonville, FL or Ponte Vedra, St. Johns County, Orange Park, or St. Augustine, Florida? I want to thank you for even considering me and my team to help you with the sale of your Northeast Florida home. We are a team of active Jacksonville FL Realtors, and Orange Park, Ponte Vedra, St. Augustine and St. Johns County Florida Realtors, who specialize in extremely aggressive marketing of homes and giving top notch, unparalleled service. Your home as well as your family's needs are unique, and the services we provide are customized to provide you with a unique marketing plan for your home. We hold true to our slogan above, and offer real full service at very reasonable fees. REALTOR® is your first step to making sure that your investment in your home pays off. Our services and experience allow you to focus on your move while we manage your home sale, from our initial consultation to the closing deal, and beyond. We pride myself on repeat business and hope you'll come to understand why. Oversee inspections, repairs, and coordinate every detail associated with the sale through closing. Title insurance fees depend on the sales price of the home, and title search and examination of title are also separate fees from the title insurance policy. Broker's commission is a full-service fee and will cost anywhere between 3% to 7%. Closing Fees in Northeast Florida, it is traditional for the seller to pay for the closing. Get a FREE closing cost estimate and FREE Comparative Market Analysis for your home! When you list with the Mike Linkenauger Team, we cut commissions, NOT corners! Any agent can list your home on the MLS, and wait for another agent to sell it. In this day and age, your home MUST stand out from the crowd if it is going to be sold. We have one of the most aggressive marketing plans in Northeast Florida to guarantee this! Personalized website just for your property! 1.) 2006, 2007, 2008, 2009, and 2010 Winner of 5-Star Best in Client Satisfaction award! I was Selected from an independent survey of home buyers three years running. My previous Customers nominated me for this award for a reason! 2.) When you list with the Mike Linkenauger Team, you do not just get one agent working for you, but four! It is impossible for any one agent to be available 100% of the time to meet with buyers and give you the quality of service you pay for. One of the best benefits for YOU when you list with my team is that you will have a team of six professional Jacksonville FL Realtors available to serve you. 3.) My sales are consistent. I consistently Produce in the $12,000,000-$18,000,000 range in sales annually, including 2008! In 2009 we will most likely exceed those numbers! 4.) Our fees are less than most of the agents around, and our marketing is more aggressive than 99% of all agents around. It doesn't cost anymore to hire the best! We offer extremely aggressive marketing at affordable fees. What if I owe the bank more than the value of my house? Jacksonville FL Short Sales and pre foreclosure Expert Realtor - One trend in the Jacksonville Real Estate market for home owners who owe more than the value of their house is Short Sales. This is a way to avoid foreclosure and get your home sold fast, and we are Certified Loss Mitigation Consultants specialize in working Jacksonville short sales. We can negotiate a lower payoff amount with your lender, even if you have not had a late payment and you are NOT in default. Agents around the country have looked to me as an authority in the industry. Mike Linkenauger and his company are fabulous. They know their stuff when it comes to Short-Sales. Responsive, Reliable, Considerate, Knowledgeable, Optimistic, Creative, Resourceful, Thoughtful, Dedicated and Experienced. It takes an agent with compassion to work through a short sale listing for a seller. Mike can listen and walk you through the process. Mike will be a guest speaker on the coming Cruise. Teach us Mike. Mike is a great team leader with a compassion to help people and who has a world of knowledge and experience in the Short Sale Industry. I am honored to be a part of his team. Mike Linkenauger is one of the leading real estate professionals in his industry. He is dedicated on a national level to furthering the foreclosure and short sale process in an attempt to benefit all parties inclusive of the seller, buyer, servicer of the mortgage and the investor/mortgage insurance companies. He has created a network of individuals known as the Short Sale Specialist Network to help educate and enhance the short sale process to real estate agents. He should always be on your short list. It is always good to have an Expert on your side and Mike has made it his mission to be the expert. He will not steer you wrong. The Federal Government as well as local States have specific laws governing Short Sales and Foreclosures. It has become important for there to be oversight into these processes to protect consumers and the public. Having skilled and knowledgeable advocates to help navigate this process is increasingly necessary. Mike Linkenauger is a strong and knowledgeable advocate. Love working with Mike! He really works hard to make sure he delivers what he promises. I've worked with him and his group for over a year and have had great results! Thanks Mike! Thank you Mike for being there when I needed advice. You are definitely a real estate expert in your field, and thanks to you, I am an expert also. Great networking partner!! Mike is a Leading Expert in the Short Sale Industry. Would Recommend him for Any Industry updates. 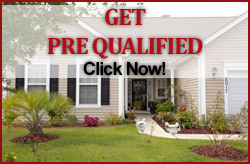 Mike is very knowledgeable real estate agent, especially on a short sale transactions. Mike, your expertise has been very helpful to me. Thanks for all you have shared. Mike runs a well educated group of Real Estate professionals who are well versed in the short sale industry. Being in Mike's network of short sale specialist has helped me grow my knowledge and short sale business.. I would recommend short sale specialist to anyone who handles short sales. Mike and his company are extremely knowledgeable and professional. I highly recommend him to anyone needing assistance with a short sale. Mike has helped me out more than once. He is quick to share his expertise and knowledge about the short sale market. He has my recommendation. Very professional, honest, and ethical. He is experienced and knowledgeable in his field, and I wouldn't hesitate in recommending him to others. We have worked several referrals for Mike in our area, and will continue to build on that relationship. Mike has an in-depth knowledge of the short sale process and knows how to negotiate for a successful conclusion. He is honest, ethical and has the tenacity to see each client through this long and sometimes tedious process. When I need advice, Mike and his associates are the ones I turn to. Great organization! If you need short sale help or have questions they are a great resource. Nothing short of outstanding the way they handle themselves. Communication and information with a solution at our finger tip. Expert in his field, great understanding of the Short Sale process and what it takes to get to the closing table therefore avoiding foreclosure. I would highly recommend him, honest, trustworthy, excellent business ethics, which is hard to find today. Very knowledgeable about today's distressed market. Has answer to all the questions...great person to share ideas and issues with on short sale transactions. I've done business with Mike and will continue to do so in the future. I sing his praise to all that will listen! Mike provides phenomenal information to those of us navigating our way through this world of short sales. He is a key player in the industry and I admire his expertise. Mike comes highly recommended! Mike works harder than anyone else to help prevent foreclosures. I highly recommend this gentleman as he knows his stuff! You pay good money to hire a Realtor, you deserve the best. If you are considering selling a property, please fill out the form below and I'll be in touch with you right way! Thanks again for considering me and my team, and I look forward to discussing your needs and how we may be able to be of service to you.